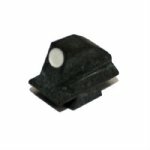 Walther Front Sight Blade with white dot. Genuine German Walther production made for the German Army. This is the later style P1 sight which is wider and has the easy to see white dot. 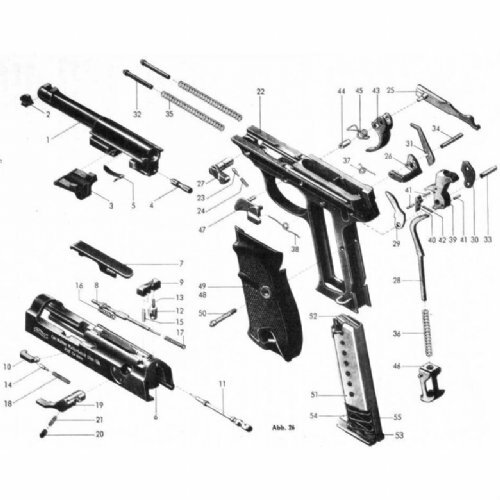 Part number 02 on the pictured Walther schematic. Condition is surplus very good or better. #02 refers to the part number on the P1 schematic. This does not refer to sight height. Later style P1 sights were standardized and come in only one height. This is comparable to a size #3 old style site.